Írta: Káli-Rozmis Barbara 2018. 04. 04. “There is nothing more ‘horrendous’ than gradually becoming mummified and unwilling to say farewell to youth. To go about as a rouged larva - dreadful! Perhaps later, I shall always wear a veil, and not even those closes to me will no longer see my face,” said Empress Elisabeth. Empress Elisabeth was regarded to be one of the most beautiful women of her time. Those who knew her personally were convinced that the photos and paintings were not able to recall the true beauty of her. However, there were some artists who, according to the contemporaries, were able to do so, at least nearly perfectly. Let us mention the names of Franz Xaver Winterhalter and Gyula Benczúr. Elisabeth’s appearance was so fabulous that it was also said to be more like a fairy queen’s than an earthly one’s. I have no doubt that she would have enjoyed the fairy queen title more than her imperial or royal ones. According to the contemporaries, her whole appearance was something which enchanted everybody who was lucky enough to meet her personally. But how could she be so amazing? First, let us mention some of her special distinctive characteristics beside her healthy, long, rich hair. Elisabeth was 172 centimetre tall, which was extraordinary that time. She was said to be somewhat taller than Franz Joseph, however, the artists, of course, did not reveal this in the pictures, in which she was depicted the shorter one. It is also possible that it was only a rumour. If we have a look at their photo taken in Bad Kissingen, we cannot see much difference in height between them. Besides, she was extremely slim with a very narrow waist during her whole life. In most of her poems she called herself Titania, who is the fairy queen of Shakespeare’s Midsummer Night Dream, which was one of her favourite plays. In some poems, Elisabeth called Franz Joseph “Oberon” after the name of the fairy king from the drama. Many may not know about a special characteristic of Empress Sisi, which also distinguished her from others, and contributed to her amazing appearance: She was taught how to walk specially without “hardly touching” the floor. Her father, Duke Maximilian did not interfere much in or care about his children’s upbringing, however, there were some things which he expected from each child. Beside horse riding it was the walking technique mentioned above, which was taught the children by a teacher. In her later ages, Elisabeth must have been able to walk so fast and long, even a whole day (! ), continuously without exhaustion thanks to this special walking technique. After giving up horse riding, she took up a new sport: fast walking. It was demanding not only for her company (ladies-in-waiting etc.) but also for the secret police of the countries she was staying. Elisabeth was not always aware of the fact that she was observed and followed by guards, if so, she tried everything to get rid of her secret followers. There were only a few people who were able to keep up with the Empress. 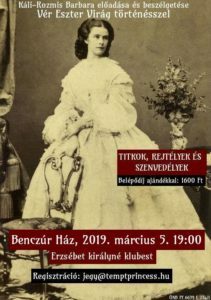 Among them Irma Sztáray, her last lady-in-waiting, who was there at the time of the assassination and her death of 1898; Contess Sztáray had been chosen for Elisabeth because she could walk very fast. Irma Sztáray also mentioned this “rhythmic walk” in her memoir (about the Empress). To mention a family member: the youngest daughter, Marie Valerie could walk as fast as her mother - she had to because she had been dragged by Elisabeth nearly all the places she travelled and stayed. Perhaps Elisabeth was unaware of the fact that it was also her who made herself become a myth and legend, although unintentionally, already in her lifetime. Each public appearance was extremely difficult to her as she always wanted to impress, she wanted to represent “the perfect beauty”. Countess Marie Larisch, Elisabeth’s niece wrote in her memoir (which we must read very critically) that the Empress had herself sewed into each of her gowns, also the riding ones in order to emphasize her perfectly slender figure. She had already became a legend thanks to her beauty during her own lifetime. After the death of her only son, Crown Prince Rudolf, she hardly ever appeared in public, if so, she hid her face behind a fan or/and veil that is why her old face was unknown by most of her contemporaries as well as nowadays. 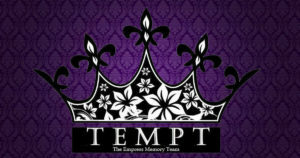 She left the impression of a young, slender, beautiful and mysterious empress on the history. She liked to stay away from the public even earlier. She could not bear having to appear in public and started refusing to take part of the obligatory events quite early. Although she could not bear being an empress and refused all the representative roles with it, many say that she took every advantage of her social position. They think of her extremely costly travels and the fact that although she could be very kind to people, she often liked giving orders to her personnels and they say that she did not take them into much consideration when she wanted her (often extreme) desires to be fulfilled (another article will speak about the personnels’ lives besides the travelling Empress). However, the closest ones stated that she had been always very kind to them. It is very difficult to make a proper judgement about it. Maybe those who said the opposite were ill-disposed. She hid her face behind her black or (mostly) white leather fans. She carried her white umbrella everywhere, which she used to hide herself form the passers-bye and those who wanted to take a photo of her. Some images were captured, however, in them Elisabeth’s face is covered by the above mentioned objects. She became an inaccessible, mysterious “Fairy Queen”. I must call the attention of the fact that Elisabeth suffered from depression not only after but also before Rudolf committed the suicide. The death of her only son was another painful reason for her for avoiding the social interactions even with her closest family. Beside other illnesses, Elisabeth was suffering from sciatica that time, which was treated by spas and massages. She was obsessed about her weight during her entire life. In order to preserve her slender figure she had extreme diets, furthermore, she had the following treatment: hot baths were followed by bathing in 7 degrees cold water then “sweaty cures”, which meant wearing multiple layers of clothing in the evening while running up and down the hill. She often was only 46,6 kilogramme thanks to these exercise, the “treatment” and the extreme diet. If we consider that she was 172 centimetre tall, it was definitely a pretty low weight. Franz Joseph tried to persuade her to eat more but it was nearly impossible to make Elisabeth change her mind in connection with anything. However, there were some doctors who were able to persuade the Empress to eat healthier even if only for a little period of time. And how did they manage to do so? They told the Empress face to face that she would grow old rapidly if she continued to eat like that! Note: Irma Sztáray, Marie Festetics and Ida Ferenczy were all Hungarians. To be continued... Empress Elisabeth on Facebook! Brigitte Hamann: The Reluctant Empress. A Biography of Empress Elisabeth of Austria. Sztáray Irma: Erzsébet királyné kíséretében. The Diary of Marie Valerie. Mária Valéria főhercegnő, Erzsébet királyné kedvenc lányának naplója (1878-1899). Martha és Horst Schad válogattaés sajtó alá rendezte. In Hungarian - MAGYARUL: HOGYAN LETT A VILÁGSZÉP CSÁSZÁRNÉBÓL EGY REJTŐZKÖDŐ SZEMÉLYISÉG? A WEDDING PROPOSAL WHICH CANNOT BE REFUSED - What is behind the fairy tale? ELISABETH AND COUNT GYULA ANDRÁSSY - LOVE OR FRIENDSHIP?